There’s a lot of cars to choose from that we could’ve featured this week. 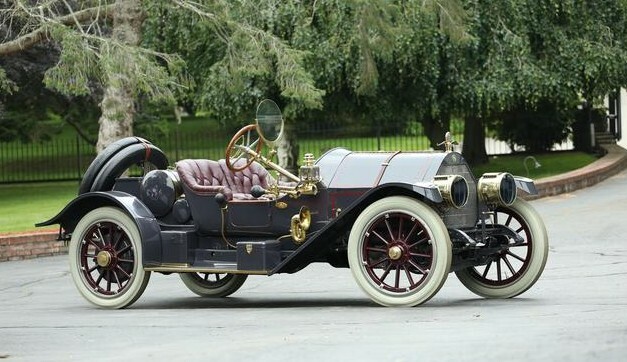 RM’s Hershey sale was chock full of rare antique automobiles and we’ve featured a number of them. But this is the last car from this sale we got to feature and I couldn’t pass it up. It’s a beauty. It’s very striking – yellow with black graphics and top and wire wheels with whitewalls (tongue twister alert). There’s a continental kit out back as well. 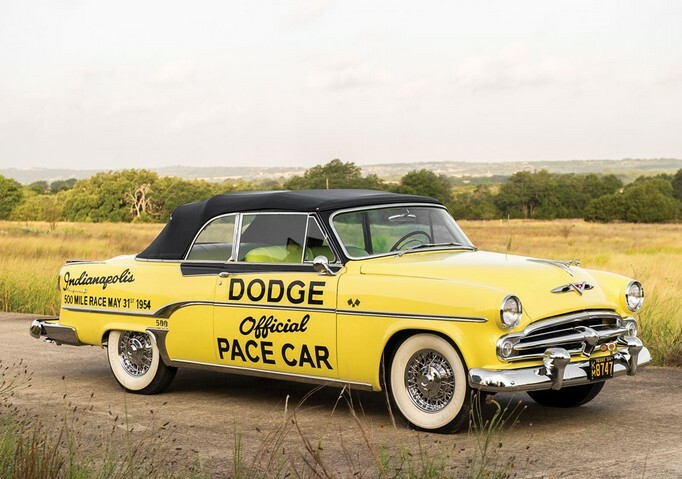 The Royal was a new model for Dodge in 1954, the same year of Dodge’s inaugural pacing of the Great American Race. The Royal was the top model for Dodge in ’54 and it used a 150 horsepower 4.0-liter Hemi V-8 to muscle it along. Dodge built 701 Pace Car Edition Royal Convertibles. This car was restored by its current owners and it looks amazing. Suddenly, this rare edition has become one of my must-have 1950s American classics. Go figure. It’ll cost me between $50,000-$70,000, though. Too bad. Click here for more info and here for the rest of RM’s Hershey lineup. Well this is pretty cool, isn’t it? It’s a true concept car – you don’t recall Ford selling anything like this in the past 15 years, do you? It’s cool. It’s wild. It’s extreme. This is actually a working, drivable concept car. It’s powered by a 4.0-liter V-6 making 375 horsepower and lots of torque. It’s four-wheel drive, obviously, and although they don’t quite look it, those are 33-inch tires. It resembles more of the modern side-by-side ATV than it does a production truck. 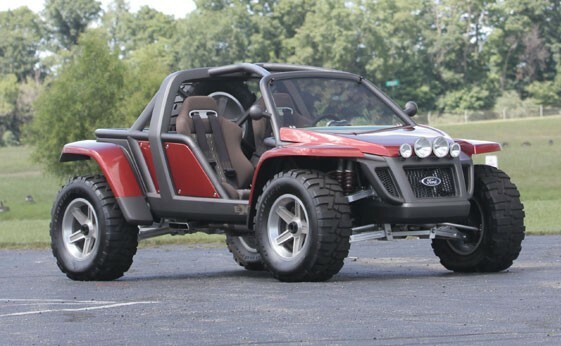 If Ford would’ve built this, they would have been off-road legends. Instead, there is just this one example. If go-anywhere is your thing, then this is your ute. It has to be massively entertaining with all that power, no real weight, and extreme off-road capability (although it’s a little rare to be thrashing it on the trails). In any event, it should sell for between $75,000-$100,000. Click here for more info and here for more from this sale. Update: Sold, Barrett-Jackson Scottsdale 2017, $110,000. 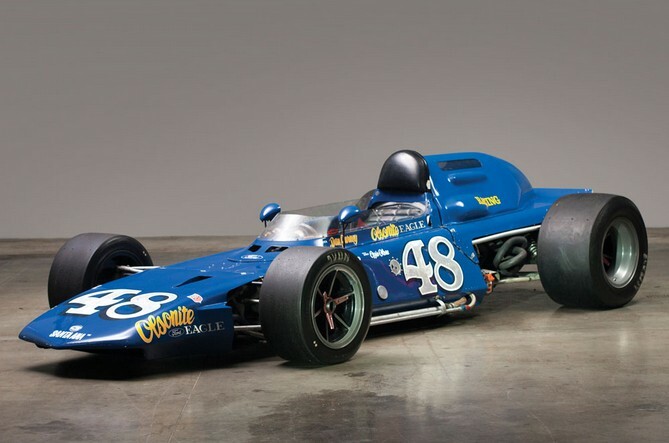 Update: Sold, Mecum Phoenix 2019, $99,000. 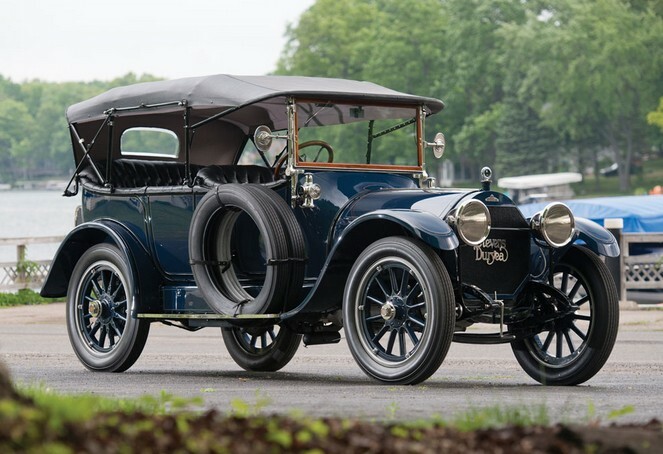 The Stevens-Duryea was a car for millionaires. The Vanderbilts drove one – a C-Six to be exact (it’s still on display at the Biltmore and if you’ve been there, you’ll know that the car is huge). Stevens-Duryea was founded when J. Frank Duryea and his brother Charles developed what I can only imagine to resemble an Oasis-level brotherly feud. J. Frank left and designed his own car, which the J. Stevens Arms & Tool Company wanted to be part of. J. Frank, J. Stevens… was J. Geils there too? (Okay, enough musical jokes). The C-Six was produced for 1913 and 1914 only. It was available in a number of body styles over two wheelbases and featured a 44.6 horsepower (44.8 for 1914!) 7.5-liter straight-six engine. The restoration on this car was completed in 2008 and the details are perfect – check out more pictures on RM’s website here. The current owners acquired the car in 2010 and the car is described as running well. It is one of nine C-Sixes known to survive and it is fantastic. It should sell for between $200,000-$275,000. Click here for more from this sale. 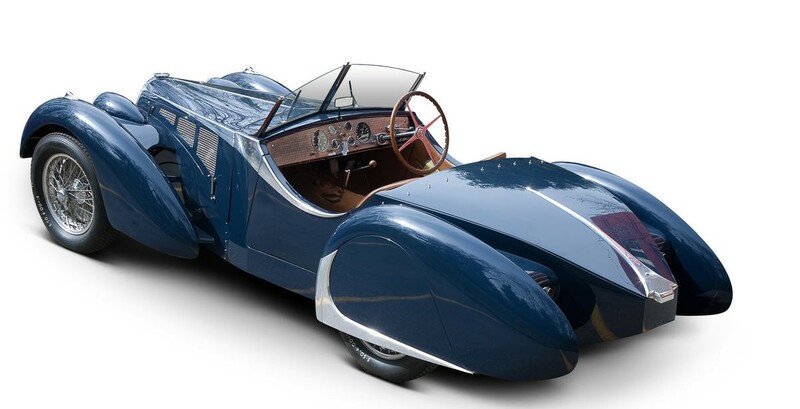 The Bugatti Type 57 was the most popular Bugatti model that the company ever made. It was produced from 1934 until 1940 and there were some very limited editions that are very desirable today – such as the 57SC Atlantic. The 57C, as seen here, featured the 3.3-liter straight-eight – but with a Roots-type supercharged added on, for a total output of 160 horsepower. 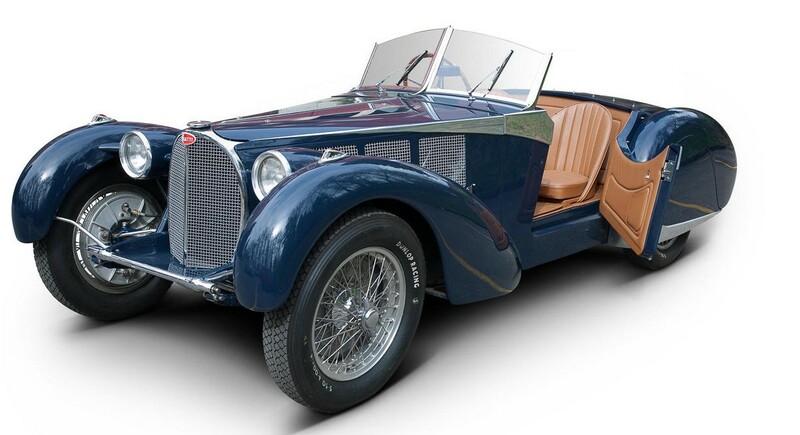 This car, chassis 57.577, was originally a Gangloff-bodied Stelvio cabriolet. 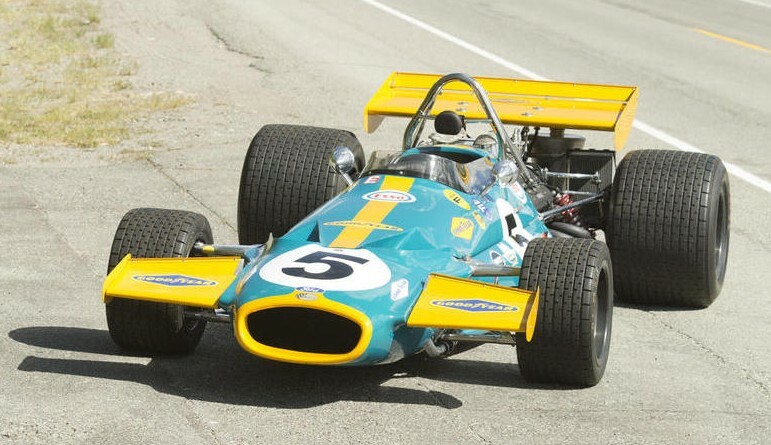 In the 1960s, it was acquired by Cäsar Schaffner who restored it and, in the process, decided to restore it to the specifications of a different chassis number. So, while 57.577 retains its original chassis (although it was shortened) and engine – it does not retain its original body. The new body was in the style of a Type 57S by Corsica. It looks nice, but you have to question, today, what would be more valuable? A Bugatti with its original body, or a Bugatti with a sort of replica body? Pretty nice. For the complete catalog description, click here. 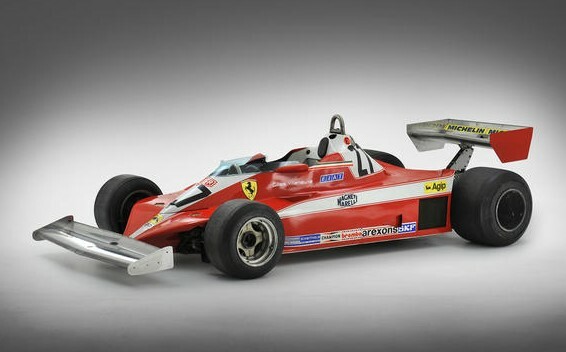 And for more on Bonhams in Monaco, click here. 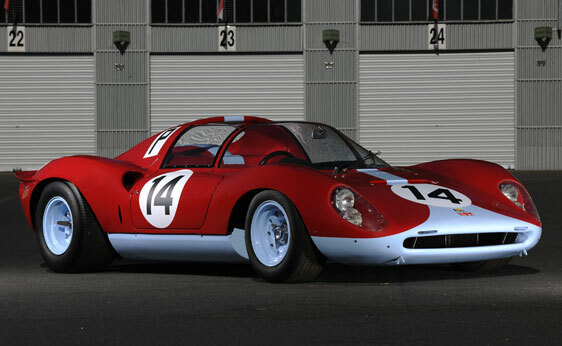 In 1966 Ferrari introduced their gorgeous V-12 powered 330 P3 race car to compete against the big boys in the biggest sports car races on the continent. 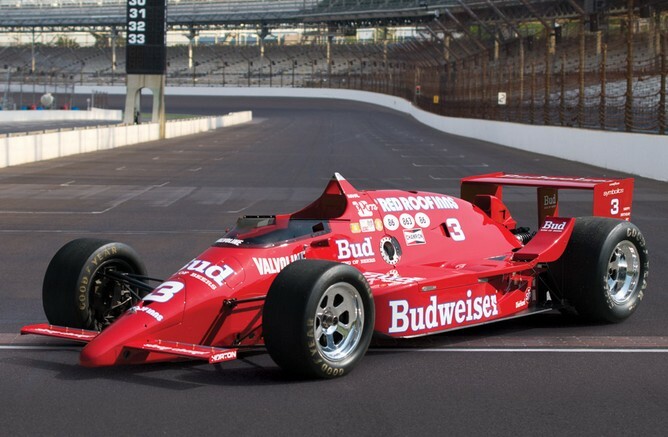 Alongside the 330, there was a new, smaller race car, powered by a 2.0-liter V6 making 218 horsepower. 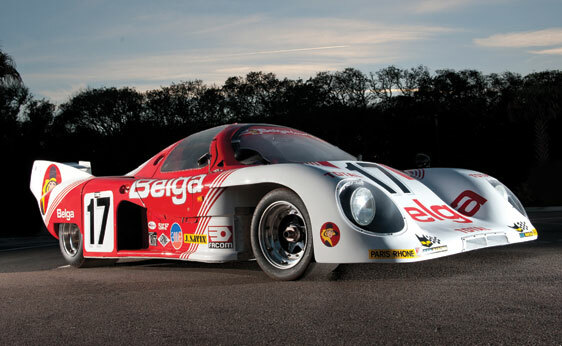 It was called the 206 Dino S.
Most of its brief competition history was at the hands of amateur drivers and it was placed into storage in the early 1970s. When it was removed, it was carefully restored over a number of years to it’s original condition as it was campaigned at the ’66 Nürburgring race. 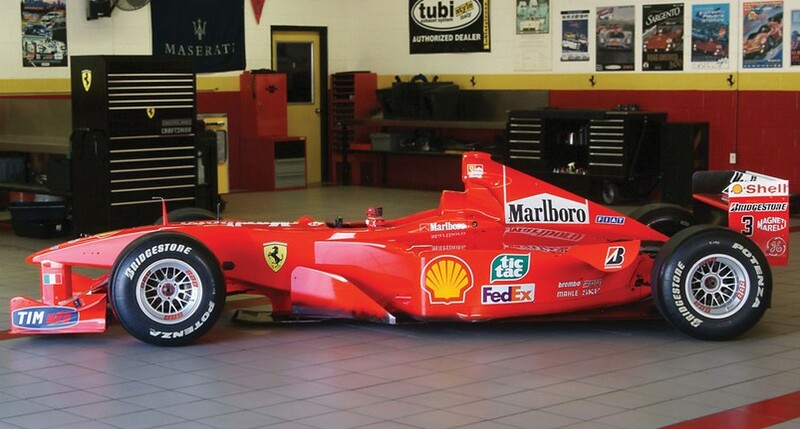 Ferrari’s original intention was to build 50 homologation examples but they ended up building only 18. And this is a very early example. I love the striking light blue on red color scheme – it’s not something you see everyday. But then again, a 206 S isn’t something you see everyday either, regardless of paint scheme. The price proves it, with an estimate between $2,875,000-$3,600,00. For the compete catalog description, click here and here for the complete lot list. In the late 1980s and early 1990s, Lancia was achieving success on the Rally circuit with their series of Delta Integrale rally cars. They also had to produce homologation models for street use in order to compete. Some of these are highly sought after. They were boxy and fast but not necessarily the epitome of Italian automotive style and grace. Enter Zagato, the famed Italian design house that penned the design you see here – a small two-dour coupe version of the five-door Integrale hatchback. 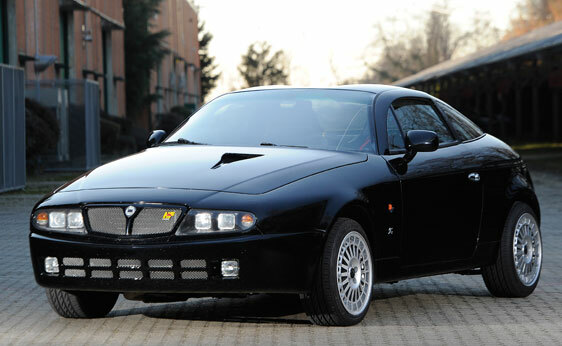 They proposed a limited edition run of these coups, to which Lancia said: “Uh, no thanks.” Their loss, as Zagato went ahead and built them anyway by purchasing Integrales, stripping them down, and fitting them with the body you see here. The cars were lighter and had more power and the same rally-bred all-wheel drive system. The original Zagato plan pitched to Lancia called for 500 units to be built. But, doing it themselves, the costs soared and only 24 were built and sold for about $75,000 each. They had a 250 horsepower (although the one for sale here has been upped to about 300) 2.0-liter turbocharged straight-four. 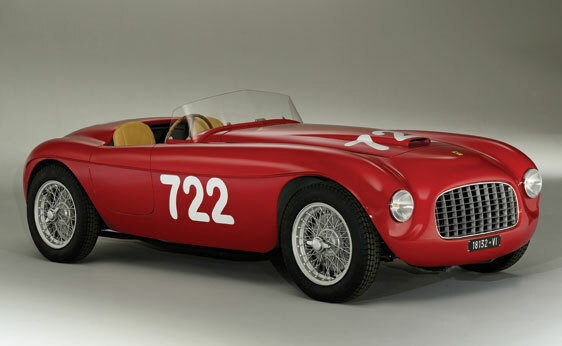 These are very rare cars and the price shows it, estimated between $130,000-$185,000. For the complete catalog description, click here. For more on RM in Monaco (including a tremendous collection of Ducati motorcycles) click here.